Christmas is a great time of year, right? Forget presents and jingly music though, the excitement I get is from pound stores stocking hackable LED strings that have so many potential uses. You can use them just as battery operated lights, add a solar panel to have rechargeable lights, add a USB socket and have them as a TV surround light— or connect them to a Raspberry Pi! They come in loads of colours and can be used under counters, over units, on the balcony, behind the TV or hanging down; just anywhere you want light. They don’t have to be solely a Christmas thing too, they can decorate plants and look stylish all year round. This article is about how I created Raspberry Pi controlled Christmas lights for just £1 (Raspberry Pi not included!) and how you can too with just a Pi and a pound. I wanted lights that would not run out of battery, and would come on and off when I set, so I would come home to them on, guests would see them on, and they would turn off when everyone is asleep. Given I wanted the lights to be controlled by the Raspberry Pi, I looked into what sort of voltage the Pi could provide on it’s software controlled pins, and the answer is 3.3v. If I want to switch higher voltage, I can use a transistor with not much effort. But I’m super lazy, so a 3. 3v LED string will be ideal. Time to spend that pound! When shopping, the first thing I looked at was the battery pack — LED strings typically take between two and three AA batteries, and given AA batteries provide 1.5v, the options are a 3v LED string or a 4.5v LED string. Given that the Raspberry Pi can provide 3.3v as an output, a light string that takes two AA batteries and needs 3v to run is close enough to 3.3v that the Pi provides. So with that I bought some quirky purple ones, got home and turned the soldering iron on. The next step is to power the lights. I want it controlled by the Raspberry Pi, and for that I’m using it’s GPIO (General Purpose Input and Output) — these are pins on the board that can both supply power (output) and listen for voltages (input). I’ll be using it to supply power to the lights. Using a pinout of the GPIO socket, which explains what each pin is connected to, I chose a GPIO pin to connect my lights to. I’m looking at the green GPIO pins; and for this project I chose pin 18 as that also has PWM( Pulse Width Modulation)which effectively gives me scope to “fade” the LEDs if I want to later on(it could be a nice animation for them to fade up and down). Connecting to the GPIO pins can be done in a few ways, from literally soldering a single socket to a wire and inserting on to the pin, or by using a breakout board, something I already had, connected to a breadboard (something I’m using in a separate Pi project that controls my lights). My breakout board, connected to a circuit board already that is another project! 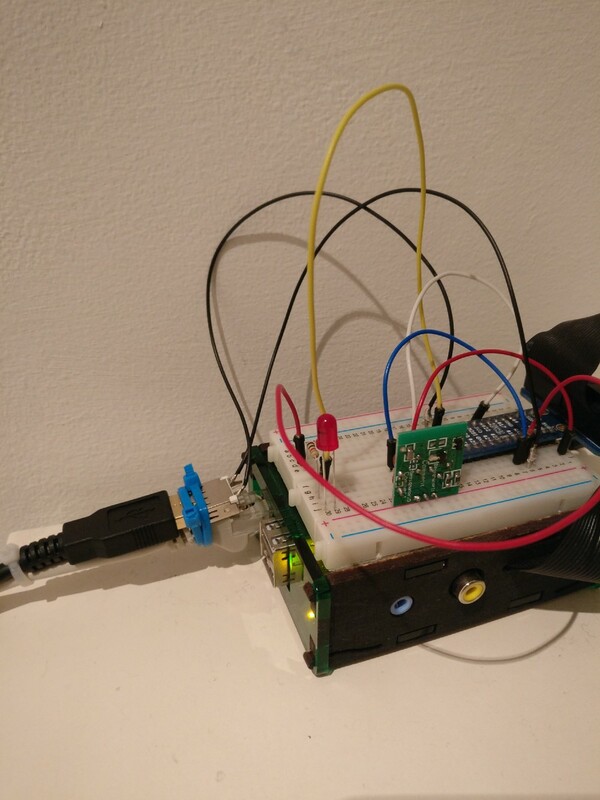 Now I knew how I’d be controlling the lights, I had the physical distance of the between my Pi and the lights outside my front door to overcome. add a USB plug on the lights, use a USB extension cable I already happened to have to connect it to a socket on the breadboard. Given I didn’t have enough length of wire, but did have a long USB extender cable, I chose to use that, adding a USB plug on the lights, and a socket on the Pi, both recovered from other projects. Note the USB socket secured to the ethernet cable, with cables going to the ground and GPIO 18. I also added a LED to show if the lights were on, by just conencting to the same GPIO pin. I saved this as a script and noted it’s absolute file location (/home/pi/christmasLED/LEDon.py). 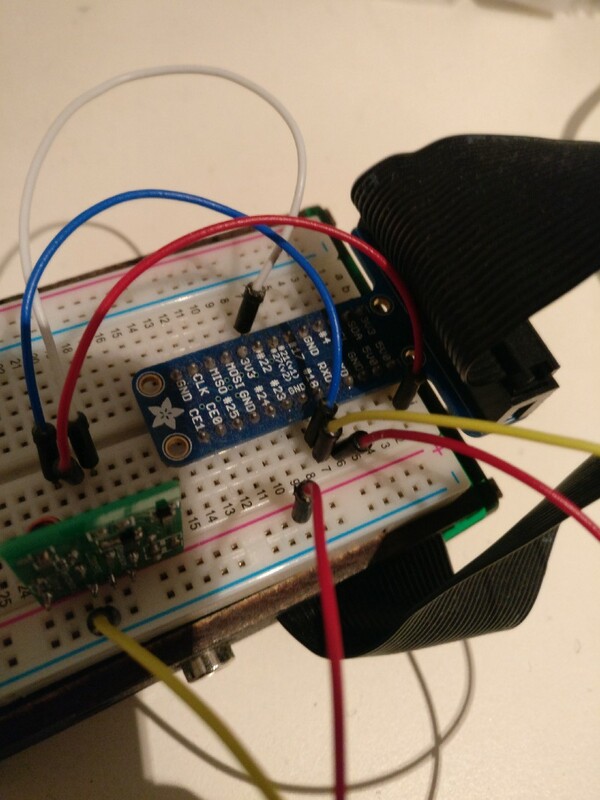 I then connected pin 18 to the positive USB wire, and ground to negative, using a USB pinout, and connected everything together. I then ran the LEDon script, and the lights came on! Success! (NOTE: I’m using 3.3v supply from the Pi on a USB cable which normally supplies 5v — so this isn’t something that can be used for other USB products. If I wanted to do that, I could add a resistor to the lights and use a transistor to switch the current). I also chose to add in a red LED on the breadboard to show if the outside lights were on. To make the lights turn on and off automatically, I chose to use the cron feature that can be found on Linux. My Raspberry Pi is running Raspian, and so using cron was a simple choice and required no installation. This file contains lines, each one consists of a rule and a command. 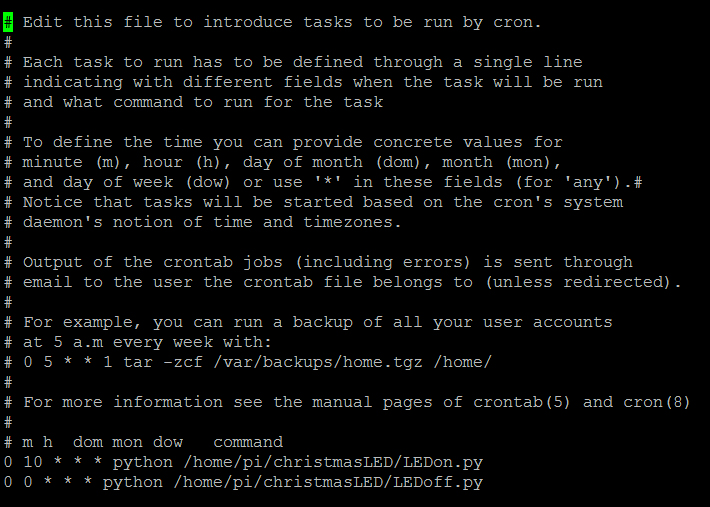 Cron runs through each line every minute, and checks if the rules match the current time. If they do then the command is run. The rules take the form below, each part separated by a space. /path/to/command — this and anything onwards is executed if the current time matches the rules beforehand. For this project, I wanted the lights to come on at 10am, and turn off at midnight — so I used these rules. I then added an extra cron rule for 1 minute ahead of the current time, saved and waited by my lights… a minute later they turned on! Success! I had verified cron was working, so I deleted the test rule. 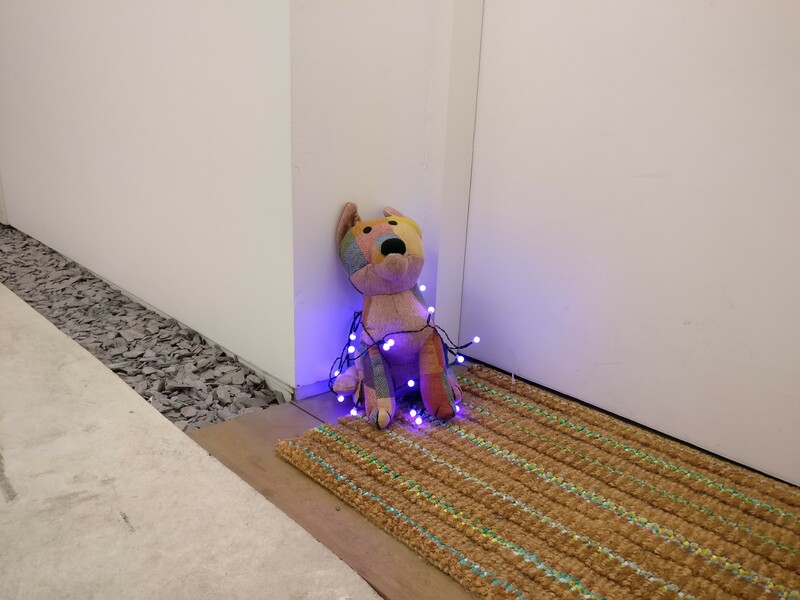 I now have a LED string light outside my door, connected via a USB cable extender to my Raspberry Pi’s GPIO pin 18. Every minute, the cron script is run on the Pi, and when either of the two rules match, the respective on or off script is run. 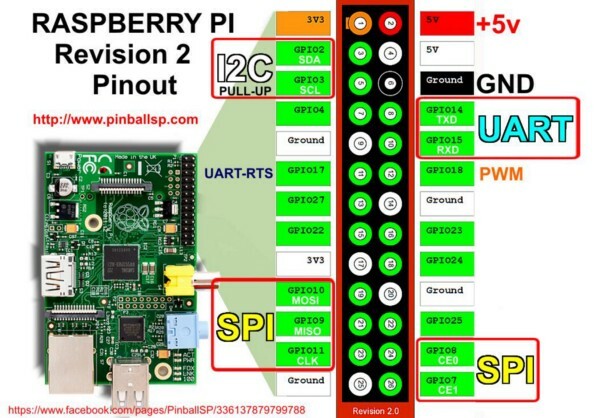 The on script sets GPIO pin 18 to HIGH — this means that pin starts providing 3.3v. The off script sets pin 18 to LOW, stopping the voltage. I now have a small Christmas decoration that I don’t have to think about changing batteries, running out of power, turning on and off. It’s a wonderfully over-engineered solution that kept me out of trouble for another evening.